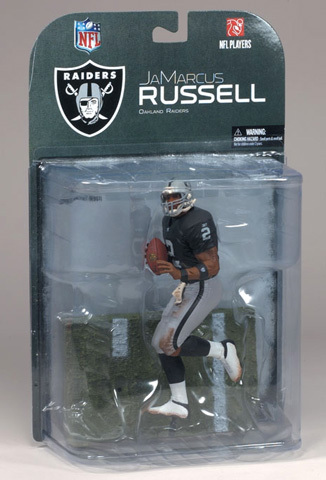 JaMarcus Russell - Oakland Raiders NFL Action Figure, by McFarlane. 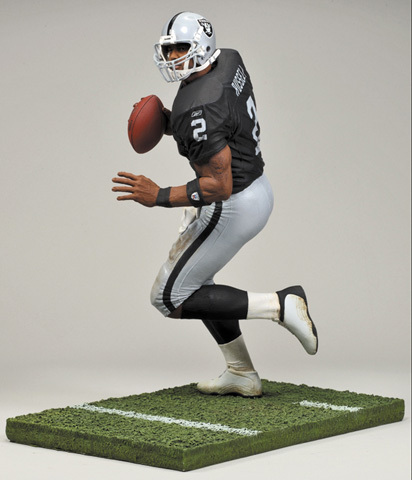 Officially licensed JaMarcus Russell NFL action figure sculpted in meticulous detail and captured in mid-game action with authentic uniforms and equipment. Measures 6.75" in tall and includes a 5.5" x 3.5" custom base. 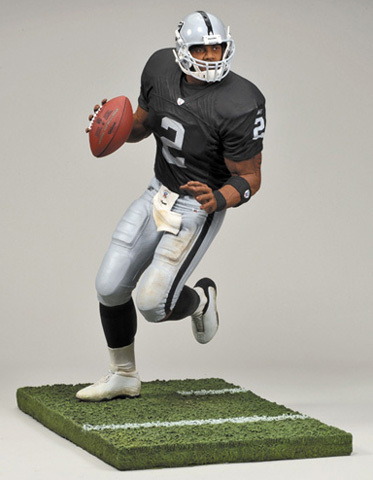 This is JaMarcus Russell's NFL figure debut! 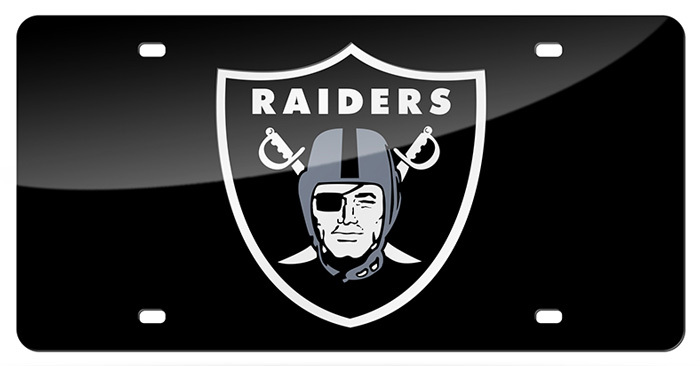 Oakland Raiders / Oakland Coliseum Night Game Framed and Matted NFL Panoramic Photograph. 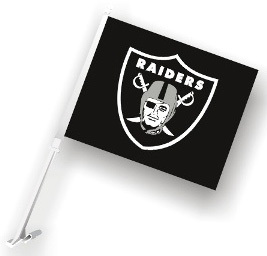 This officially licensed NFL panorama photo is of Oakland-Alameda County Coliseum, home of the Oakland Raiders, during a (Night Game) against the Kansas City Chiefs. 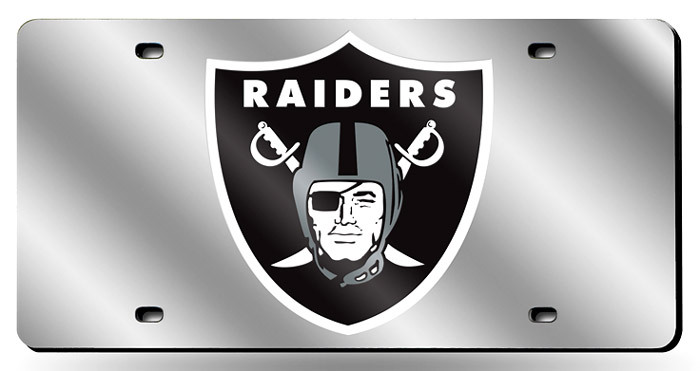 The deluxe panorama features black double matting and your choice of black or cherry frame, with a 1" x 4" engraved brass nameplate. Actual size is 40" x 14"